We work well with your pets. Most of our clients have at least one. We will coordinate with how to handle pet issue. We may give them a pet treat to put them at ease during our clean. What intervals do you offer? We can do weekly, biweekly, monthly, and one time cleans. Other schedules can often be incorporated into your account. We choose a regular day and time window that works for you. We believe that when the same team cleans your home, you get a clean with more continuity. So, we aim to get the same team to your house 80+% of the time. You are a regular on their route at the time/day/interval that you choose. Yes. We will work with you to adjust the schedule when you have special needs. Do I need to be present for the clean? No. You can be there, of course. But, over half of our clients leave a key with us. We can also make other arrangements. Usually 2. Occasionally we may have 3. A Team Leader will be in charge of each clean. What are your arrival times? We generally have arrival windows of 8-8:30, 10-12, 12-2, and 2-4. Monday through Friday. Sometimes we will alter it (on the front end when we set you up) if there is an especially large house before or after you on the schedule. No. You can cancel anytime. We ask for 48 hours’ notice. We will earn your business with each clean, and we have many customers who are with us for years and years. How do I know the date of my next clean? We will leave behind a sheet when we clean your home that gives the date of the next clean. Outstanding. Beverly keeps the trains running on time, and will deal with any coordination needed for you and your house. No. 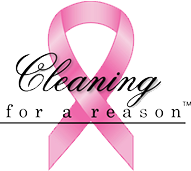 We will have all the supplies, solutions, and equipment necessary to fully clean your home. If you have special considerations, we will work with you.